People who drive through the Quad Cities on Interstate 74 should be prepared for delays and road construction. 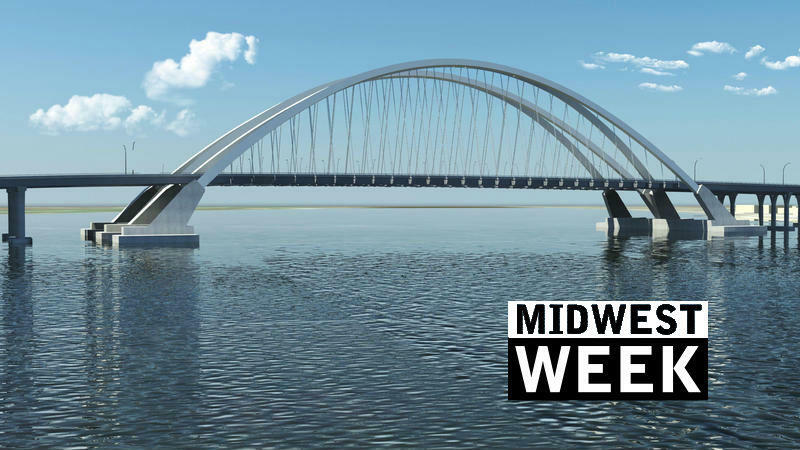 Michelle O'Neill reports a contractor has started a key part of building a new, $1.2 billion bridge over the Mississippi River. 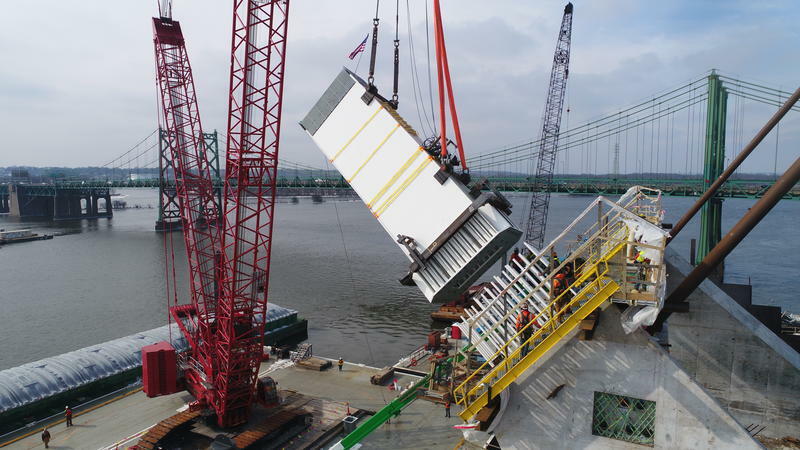 Since breaking ground nearly two years ago, Lunda Construction company has been drilling, pouring concrete, and building piers in the Mississippi. 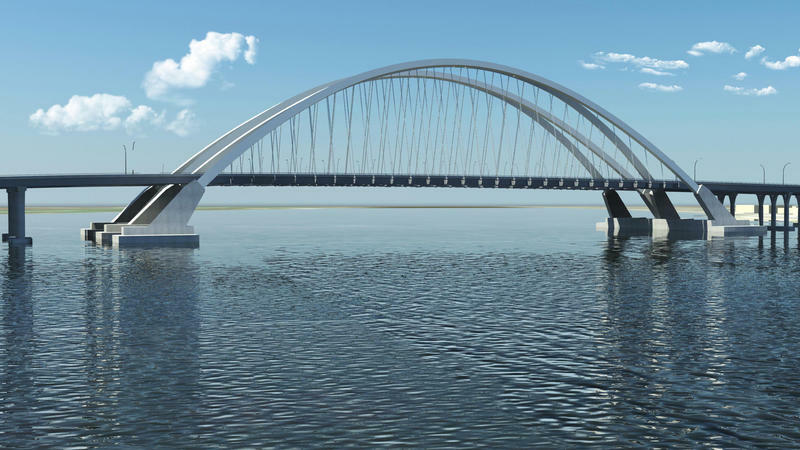 It's a true arch bridge design with what engineers call, "a basket handle arch." Construction Engineer Doug McDonald, from the Iowa DOT, says a crew is now erecting the steel sections of the arch. He hopes the pieces will meet in the middle in May or June. 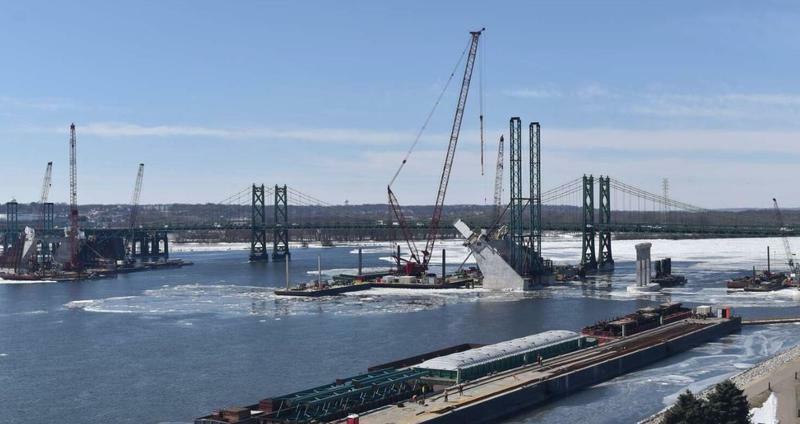 Winter weather has been a struggle for the companies building the new bridge over the Mississippi River in the Quad Cities. But over the weekend, Lunda Construction workers placed the first piece of an arch onto its foundation. 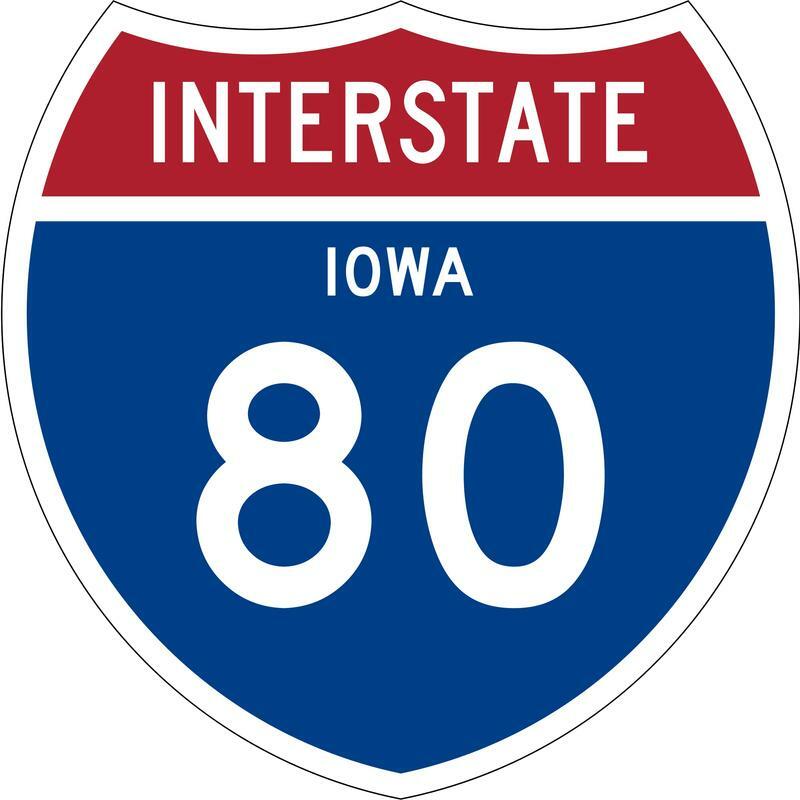 Would you like to help re-build Interstate 80 ? The Iowa Department of Transportation is starting a long-term study of possible improvements from Council Bluffs to the Quad Cities, and a key component will be public participation. Transportation Engineering Specialist, Wes Mayberry, says their goal is to make to 50 to 60 year old highway safer, and able to carry more traffic. Not enough lanes for today's traffic, and 20 to 40 years in the future. Along the busiest stretch, from Iowa City to Davenport, it now carries an average of 35,000 vehicles per day, and will reach an estimated 53,000 by 2040. People who sign up will soon begin receiving memos from the DOT, and asked to comment. Memos will be on topics like truck-only lanes, and bridges. You can sign up by going to the Iowa DOT website and looking for the "I-80 Planning Study." Mayberry says it's way too early to know the cost of rebuilding the interstate, and when any future projects will start. After several weeks of traffic tie-ups on one side of the I-74 bridge between Moline and Bettendorf, delays will now affect the other side, for several weeks.